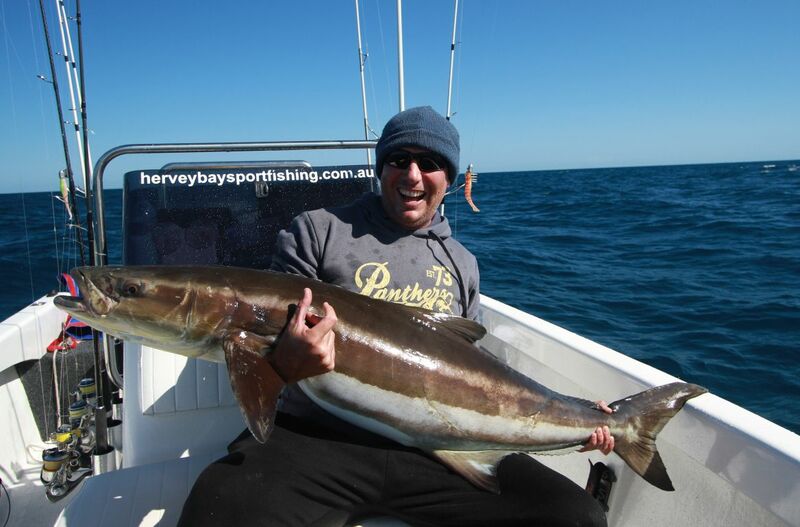 It has been a busy few months for us at Hervey Bay Fly and Sportfishing. 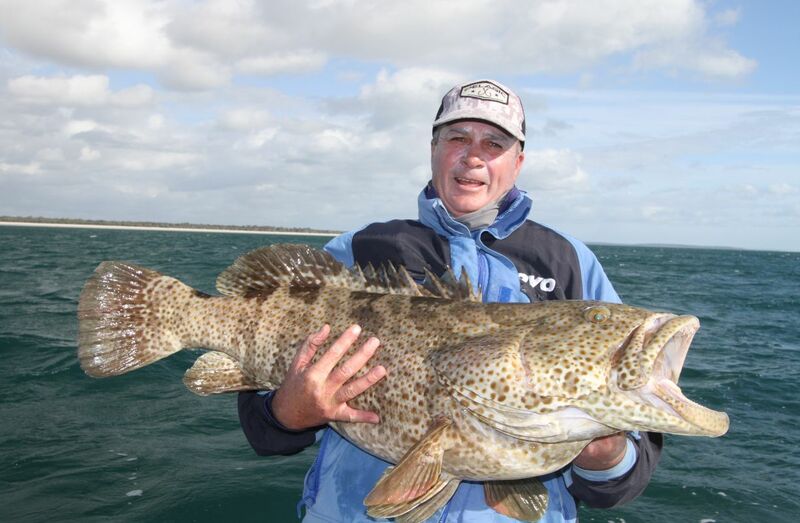 May and June were huge with plenty of guests and some great fishing. The weather has been patchy, but we have managed to get out most days. The Sandy Straits provided some good all weather options. 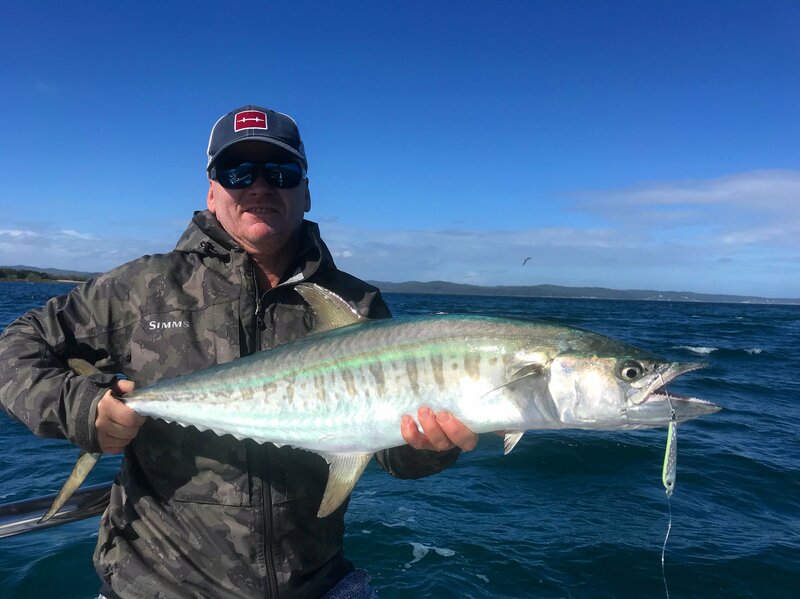 Species we encountered through May and June included broad bar, Spanish and school mackerel, golden trevally, queenfish, cod, longtail and mac tuna, cobia, snapper, flathead, various trevally species and more. 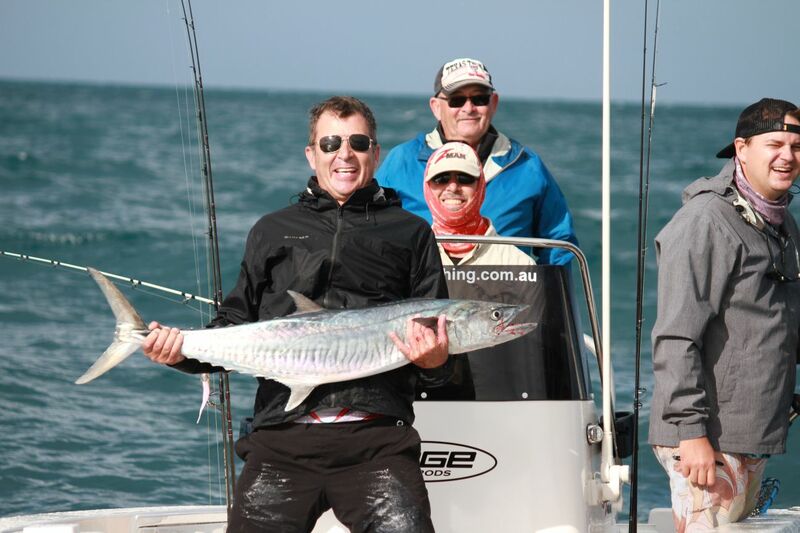 We had some fantastic fishing at times on the broad bar mackerel. 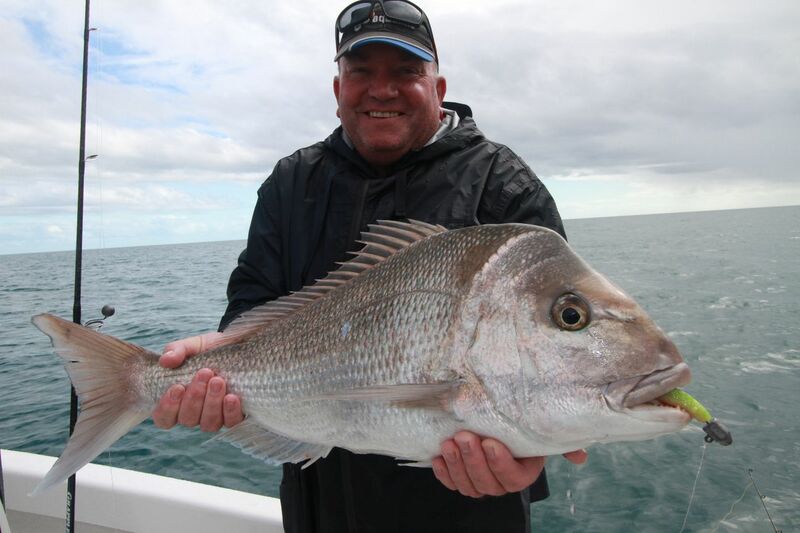 Broady’s love a metal slug spun at high speed and are an impressive catch when the bigger fish come out and play. 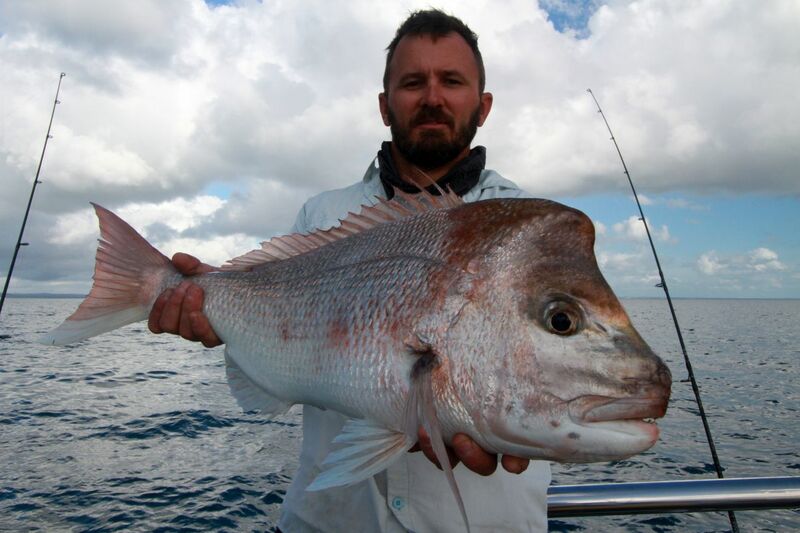 Snapper have started to move into the bay now and have been better since mid June We also had some good days on big lontail tuna and golden trevally. 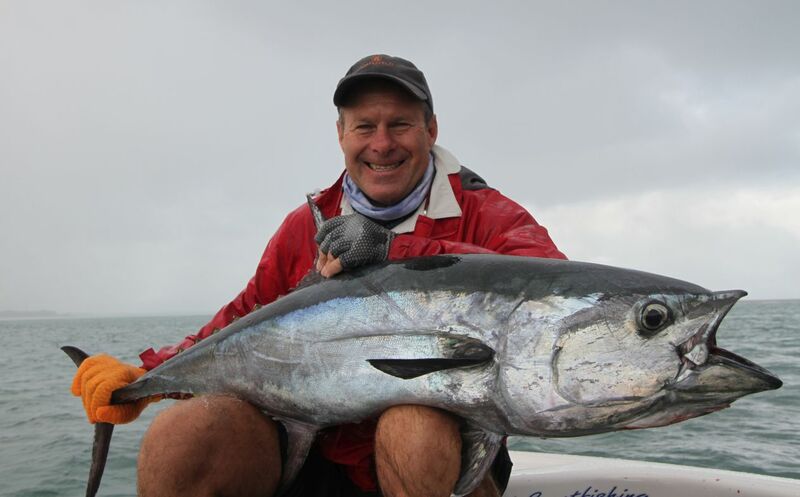 There has been a fantastic run of winter longtail tuna this year. The small bait in the bay has been in good numbers and is found in both Platypus Bay and the Sandy Straits. 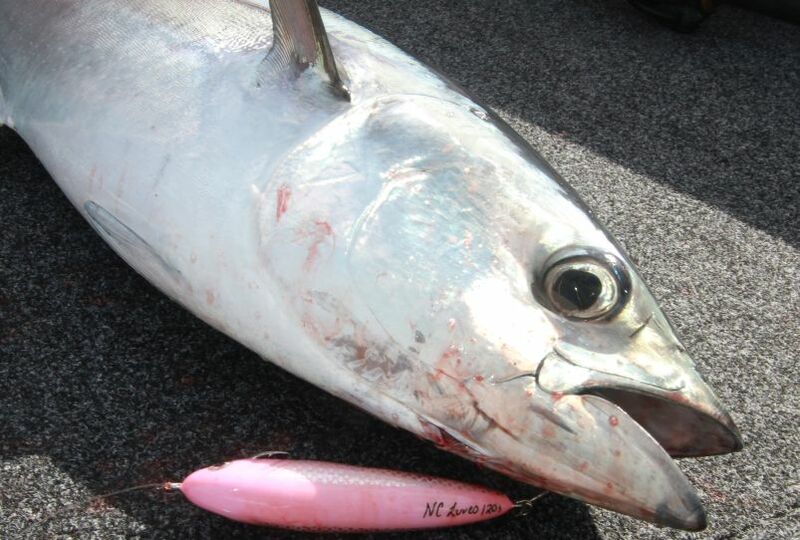 The presence of all this bait has kept the tuna about making for some hot sessions. Both lure and fly anglers have enjoyed the surface action with mac tuna and longtails frequently mixing together in the schools. Through July I would expect to see them taper off a bit, but there should still be enough about for a bit of fun. We had 3 of our Autumn mother shipping trips on in May and they proved to be a success. 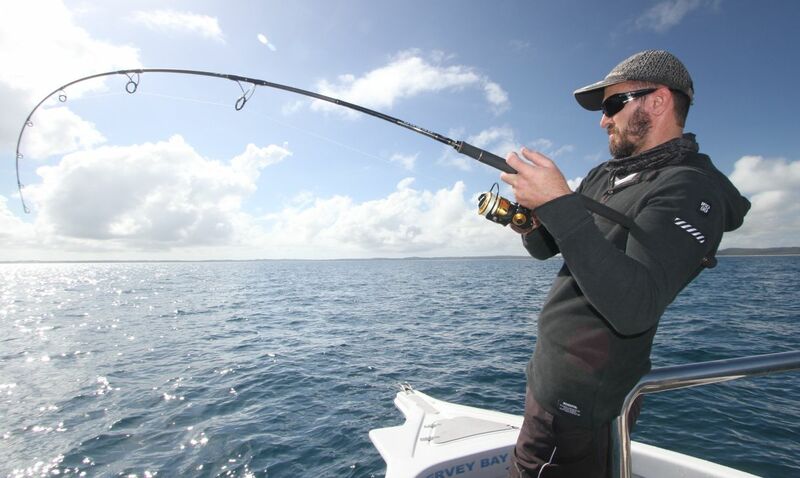 Again, patchy weather but each trip saw a few days of reasonable conditions and fishing. 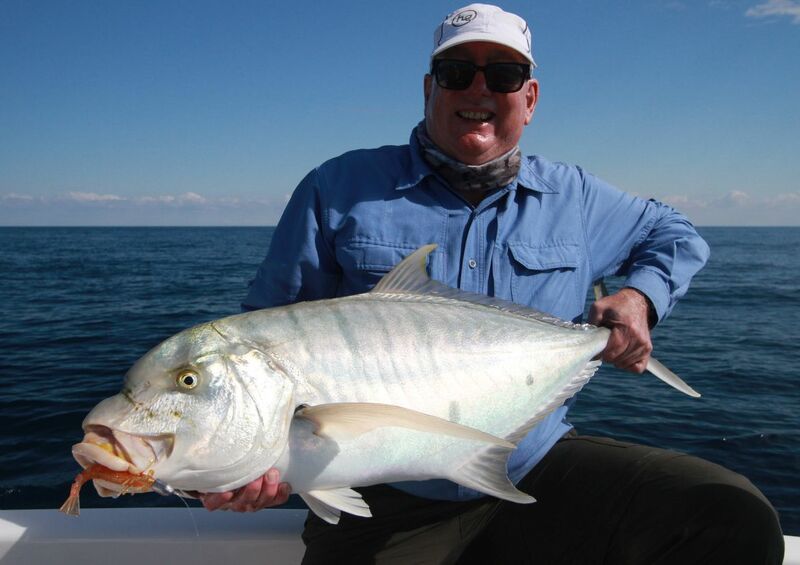 Enjoying fresh fish each night while at anchor alongside Fraser Island is very special. Guests lapped up the good food, fishing, and hospitality that we provide with Keith and the team on board Freedom III. All smiles on our mother shipping experience. 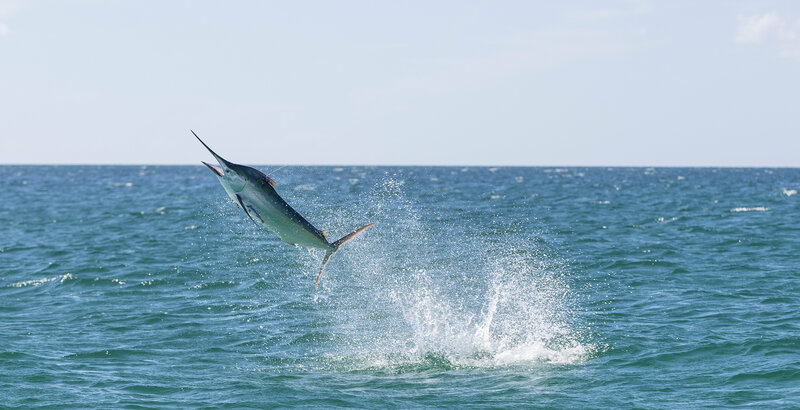 Spring is on it’s way and so will be our world-famous baby black marlin. 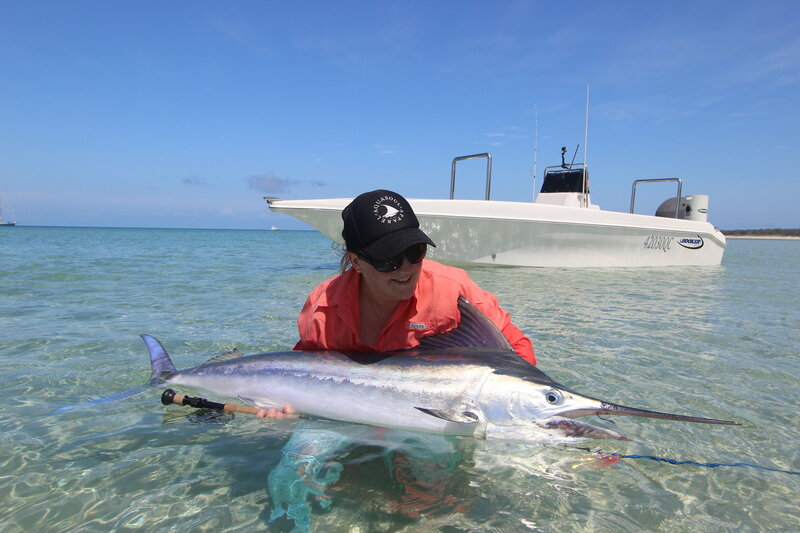 If you wish to book the experience of a lifetime chasing these unique fish in the only place that small blacks cruise calm shallow water, within casting distance from the beach, get in quick to reserve your spots. October, November and December give us opportunities to target these great fish. 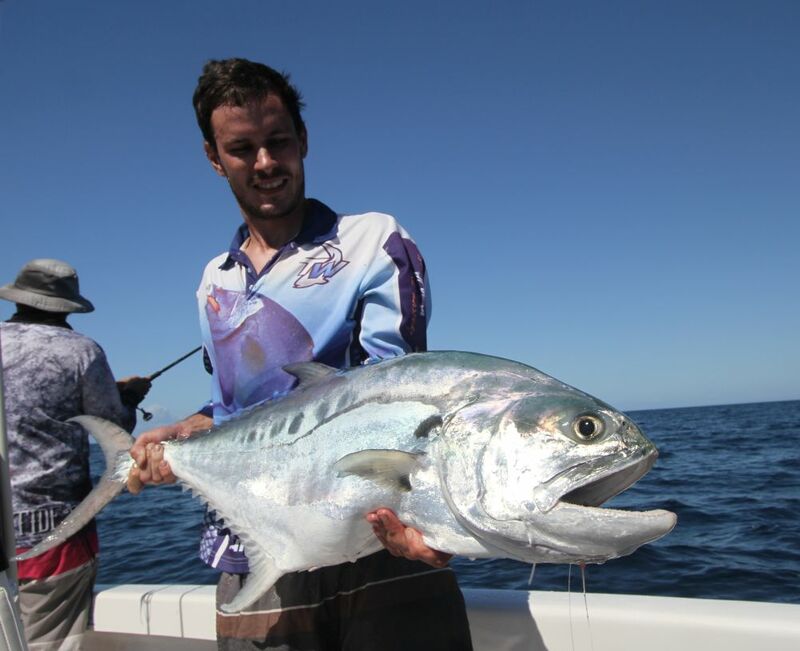 Other species on offer that time year are longtail tuna, mac tuna, spotted mackerel, golden trevally, queenfish, cobia and more. Once in a lifetime opportunity awaits! 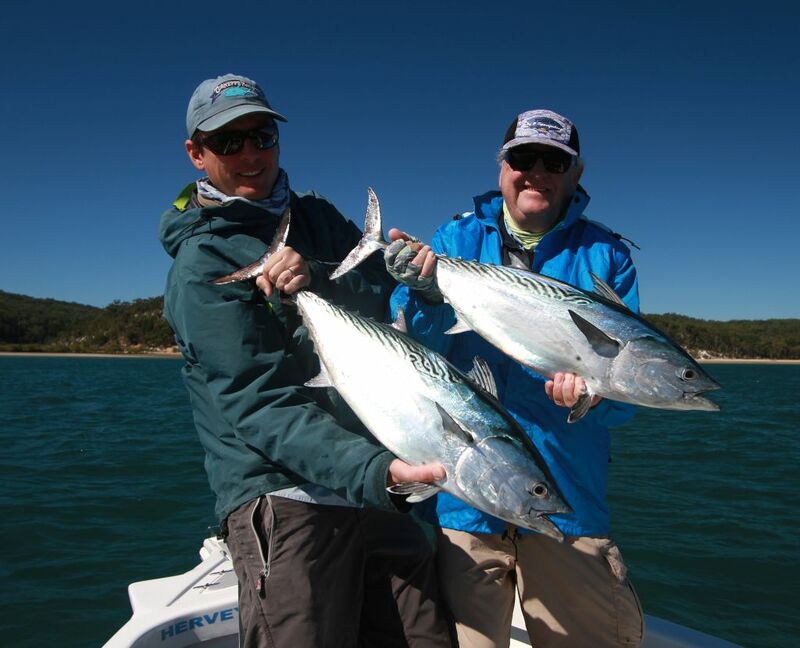 In the mean time we have some dates left over the winter period, a great time for targeting a few snapper, winter longtails and golden trevally plus many more. 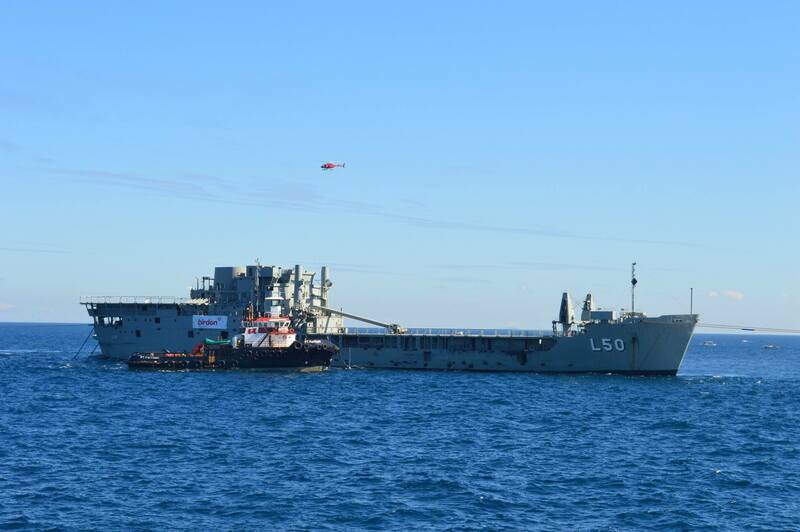 The past week the HMAS Tobruk has been finally scuttled and is now lying on the sea floor as a dive sight. It will be a great inclusion for the local tourism industry. It didn’t all go to plan as it rolled over on it’s side in the final stages before sinking. This will make it a more challenging dive and should hopefully not take any gloss off what has been a great thing for the local area. Unfortunately for recreational fishers it will have a exclusion zone around it and we will not be able to access it for fishing. 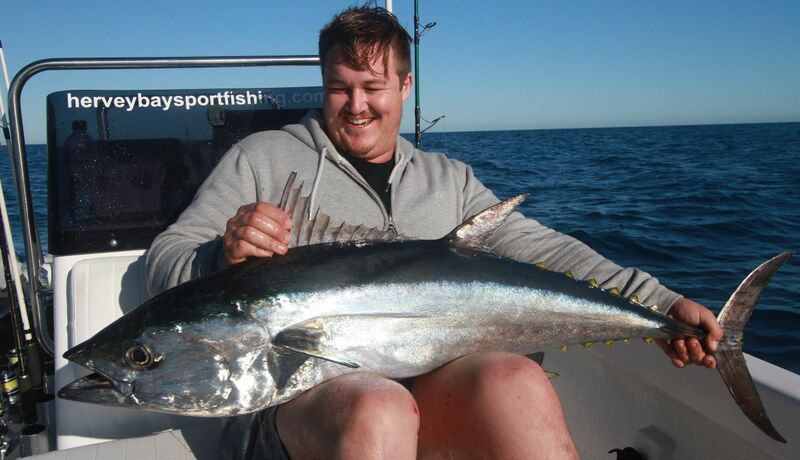 Rob takes out catch of the month with a cracking longtail caught on 20lb spin tackle. Great fish Rob! 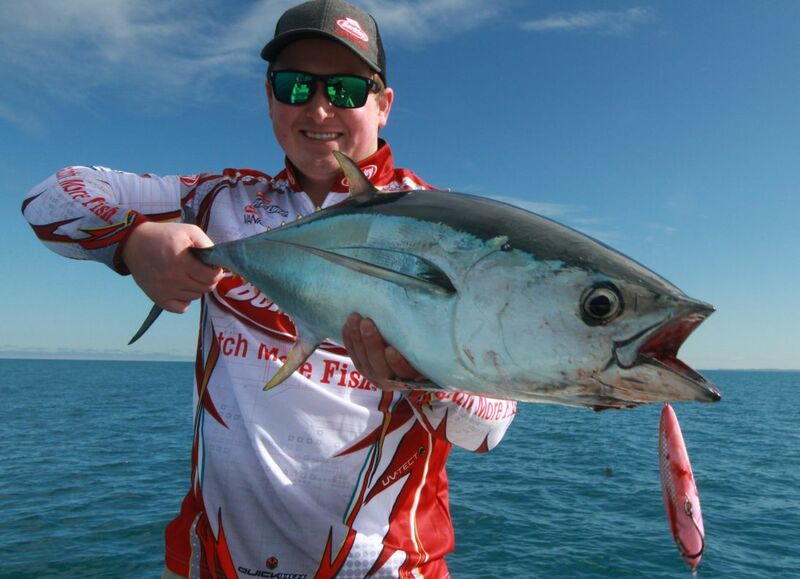 Hervey Bay young angler and keen lure maker Chris Nash has designed some cool stick baits. 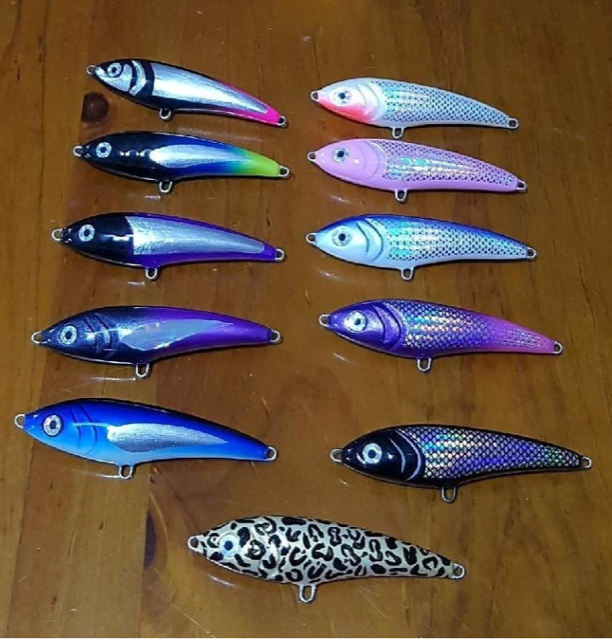 I have used them the past month with some good success, give him a follow on his Instagram and be in touch if you are interested in any of his lures. 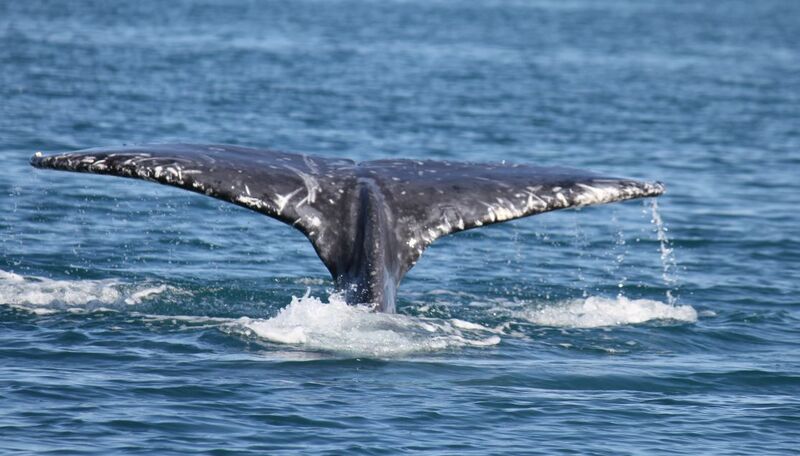 Whale season is here almost here if you or your family are looking at doing some whale watching the early season in late July and August can be great. 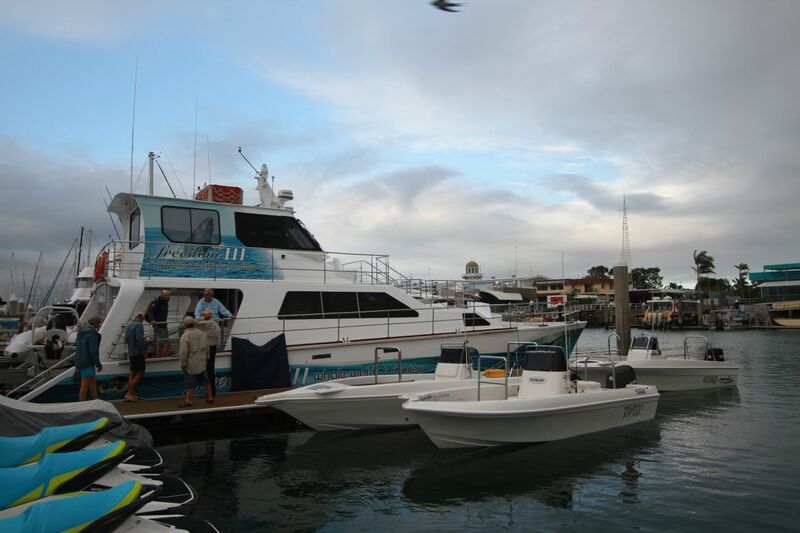 Book your whale watching with our whale watching partner Freedom III for a great day out. Join us on July 21 for roving entertainers, tasty food stalls and fun children’s rides as part of Hervey Bay’s traditional Blessing of the Fleet which signals the beginning of the whale watching season on July 21 in 2018. The blessing of the Fleet is a centuries old tradition believed to have originated in Mediterranean communities to ensure a safe and prosperous season to all vessels. Get your costumes ready because an ‘enchantment under the sea’ party is coming to the Fraser Coast and will illuminate the Hervey Bay Esplanade with lights, music, costumes and more! 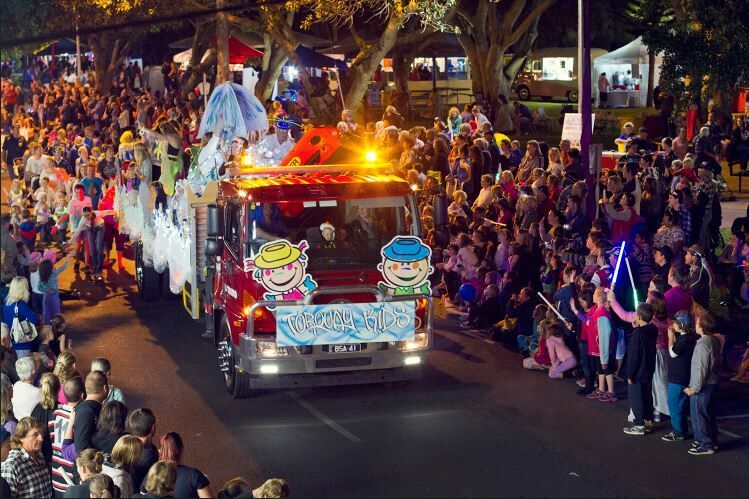 For the best view of the parade, pick your spot between Frank Street and Seafront Oval for a 6pm parade.Live entertainment, carnival rides, market stalls, food stalls and more create the perfect evening for everyone. Thanks for reading our newsletter if you wish to book a guided fishing trip please drop us an email or message via Facebook or Instagram. We look forward to seeing you with a bent rod on the bow! A few May/June grab and grins.